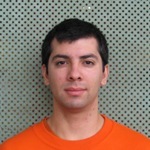 I am an Assistant Professor in the School of Computing at the Costa Rica Institute of Technology. This is my new webpage. During my time in the PPL I worked mostly on fault tolerance. I was involved in several projects related to resilience in HPC, ranging from efficient checkpoint/restart mechanisms to understanding how failures and energy interplay. My thesis focused on scalable message-logging techniques. In particular, I developed a collection of strategies to reduce the memory overhead of the message log.